Despite plenty of other contentious issues on their recent agendas, Spokane City Councilmembers came together for a feel-good 7-0 vote Monday. 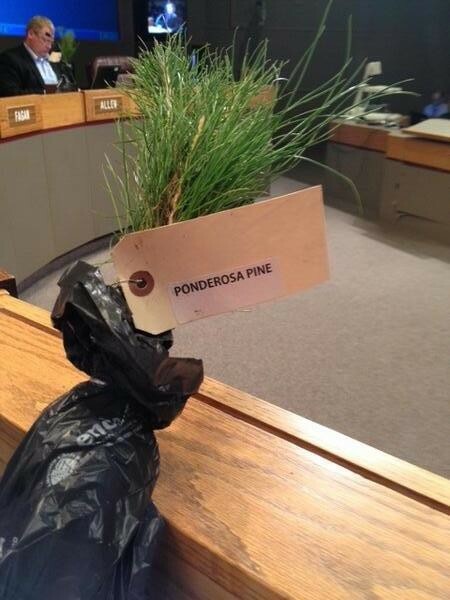 Congratulations, Spokane, you now have an official city tree: the Ponderosa pine! “The citizens of Spokane can be very proud of their city council and mayor for their support of this important designation,” the group’s president, Larry Stone, said in a statement today. 1. They have a ton of uses. Here’s this from the USDA’s plant guide on the Ponderosa pine. Erosion control: Ponderosa pine is a rapid growing tree with the ability to firmly anchor into most soil types. For this reason, it is suitable for use as a windbreak species. It can also be used with other natives to provide cover and erosion control on rehabilitated sites. Ethnobotanic: Native Americans used various parts of ponderosa pine for medicinal, building and household, food, and ceremonial purposes. Needles were used as dermatological and gynecological aids. They were also used to reduce coughs and fevers. The pitch was used as an ointment for sores and scabby skin, backaches, rheumatism, earaches, inflamed eyes, and as a sleeping agent for infants. The boughs of the plant were used in sweat lodges for muscular pain, as decoctions for internal hemorrhaging, and as infusions for pediatric treatments. 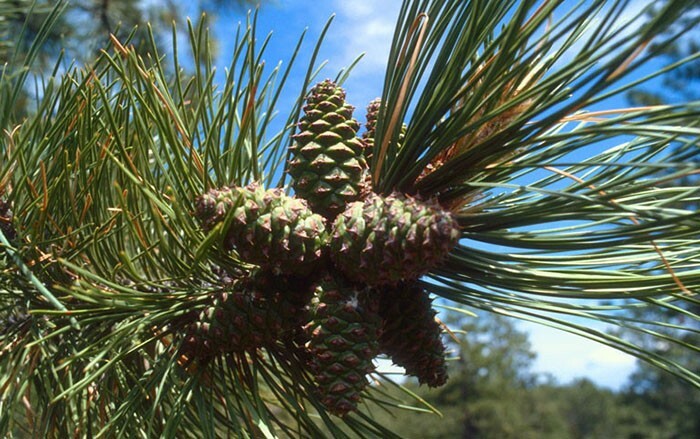 The roots of ponderosa pine were used to make blue dye and needles were used as insulation for underground storage pits. The wood was used extensively for fence posts, boards for general construction, and to fabricate snowshoes. Single logs were used to make dugout canoes. Bark was used to cover houses. Most parts of the plant were used for food, including the pitch, seeds, cones, bark, buds, and cambium. The pollen and needles were used in healing ceremonies. 2. Spokane politicians aren’t the tree’s only admirers. According to the USDA, red-winged blackbirds, chickadees, mourning doves, finches, evening grosbeak, jays, Clark's nutcracker, nuthatches, rufous-sided towhee, turkeys, chipmunks and squirrels eat the seeds of Ponderosa pines, and other birds and mice use the pine needles for nesting material. 3. The bark smells amazing. Like vanilla or butterscotch, according to the National Park Service. 4. Ponderosa pines live for a long time. Like, 300 to 600 years. In that time, they can grow to nearly 200 feet tall and 4 feet in diameter. 5. The California National Guard once came to the rescue of a Ponderosa pine. During wildfires in 2008, Guard members deployed to trim low-hanging branches on the nation’s largest Ponderosa pine (240.5 feet high, 700 years old) and clear an area around it to prevent the fire from spreading to the tree. Learn more about how to plant and care for Ponderosa pines from Spokane Ponderosa here, and Happy Earth Day!